RedHill is proud to operate high quality businesses in the Australian private tertiary education market, delivering great student experiences and education outcomes. Contact Red Hill Education NOW! At Redhill Education you’ll enjoy lots of benefits, like world class training and the opportunity for career advancement. 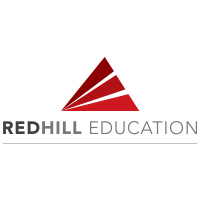 Learn more about what RedHill Education has to offer, and watch their interview at the 2018 Melbourne ACS Seminar below!